Surface development for highways, canals, urban developments and more. Water, storm, sewer, and other services. Hauling loads up to 120t throughout Canada and the U.S.
Long reach excavators, shovels and more. Big or small, Contour does it all. From P3 highway projects to small residential subdivisions, we have the knowledge and experience to complete your job. Contour has completed several high profile construction projects for the Saskatchewan Irrigation District, Western Irrigation District, The City of Calgary, The Province of Alberta, as well as numerous land development companies and other general contractors. Utilizing long reach excavators, Contour cleans out silt ponds throughout the year for several customers. 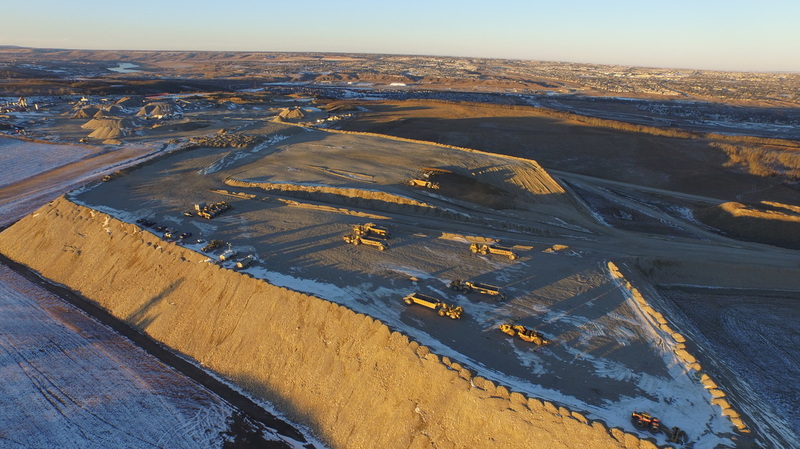 Using 100T wagons, scrapers, and other equipment, Contour stockpiled 2,500,000m3 of pit run.